Heat 2 Tablespoons oil in kadai, add curry leaves, onions, garlic and saute for 1 minute or onion become light brown. 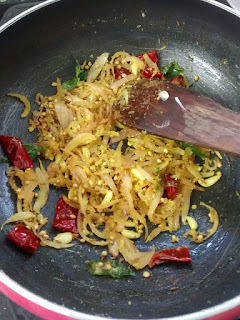 Add desiccated coconut, fenugreek seeds, fennel seeds, cumin seeds, coriander seeds, dry red chilies, turmeric powder, salt mix well. Cook for 1 minute. Let it cool down. Blend this mixture and make smooth paste. Heat 1 tablespoon oil in kadai, add paste, mix well. Add milk to adjust consistency of gravy and cook for 4 to 5 minutes or till curry become semi thick. Add paneer pieces, cook for 1 minute. Thank you so much Sunny. Glad to know you liked this recipe. Keep following. Opps I am so sorry, sometimes it happens. i edited recipe, plz check it out. Thank you so much.